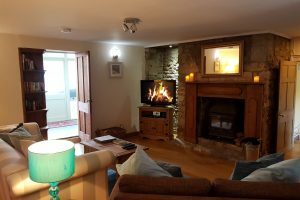 The Old Sweet Shop has a spacious lounge with T.V, DVD player and Bluetooth music speaker. 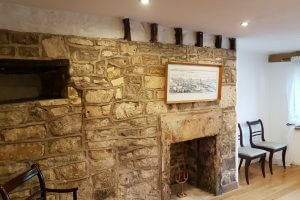 The Old Sweet Shop lounge offers a log burner for cosy nights in. 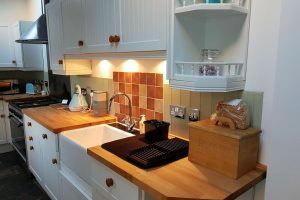 Kitchen diner with all you need for a group of 5. 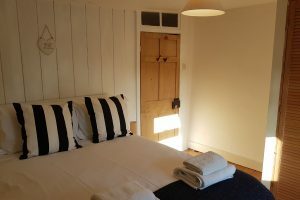 One of the double bedrooms, all with super luxury beds! 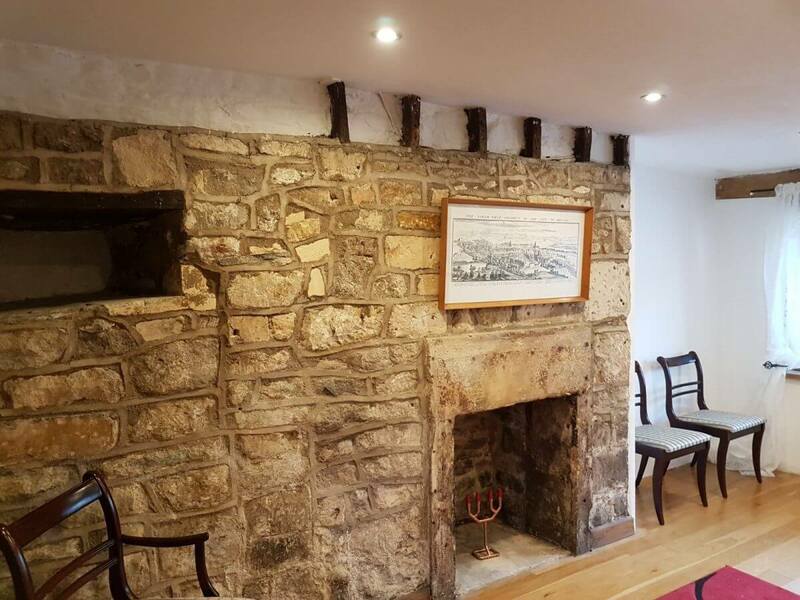 The dining room, still featuring its original fire place. Perfect place to relax with a book. 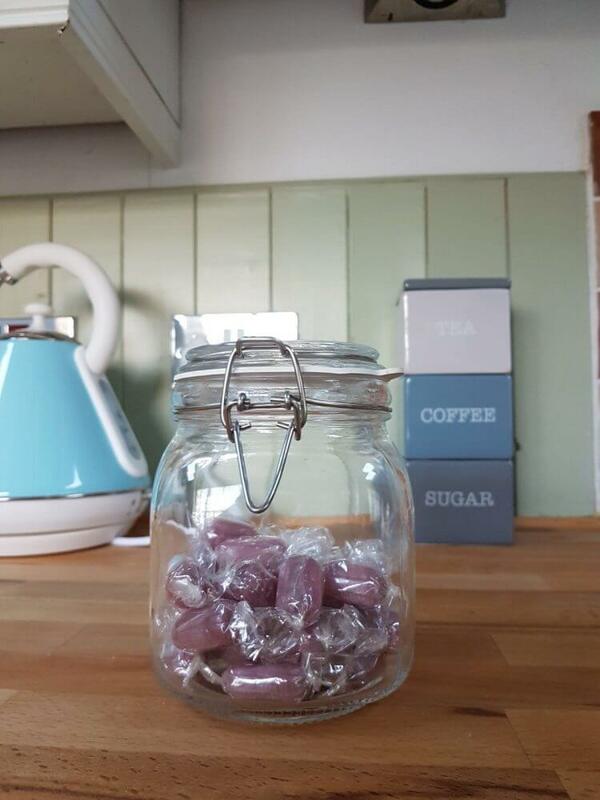 You couldn’t visit The Old Sweet Shop without indulging in some sweets! 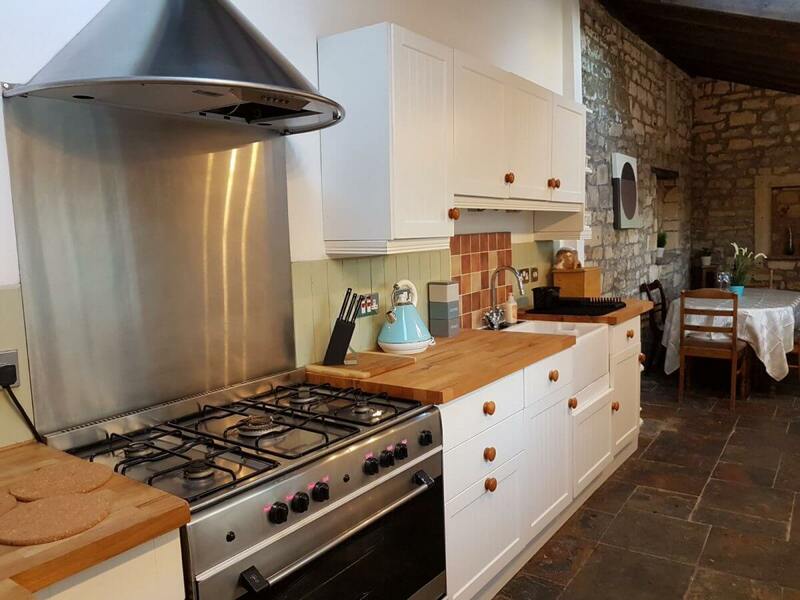 Beautiful 3 bedroom house, located on Batheaston High Street, on the outskirts of Bath. 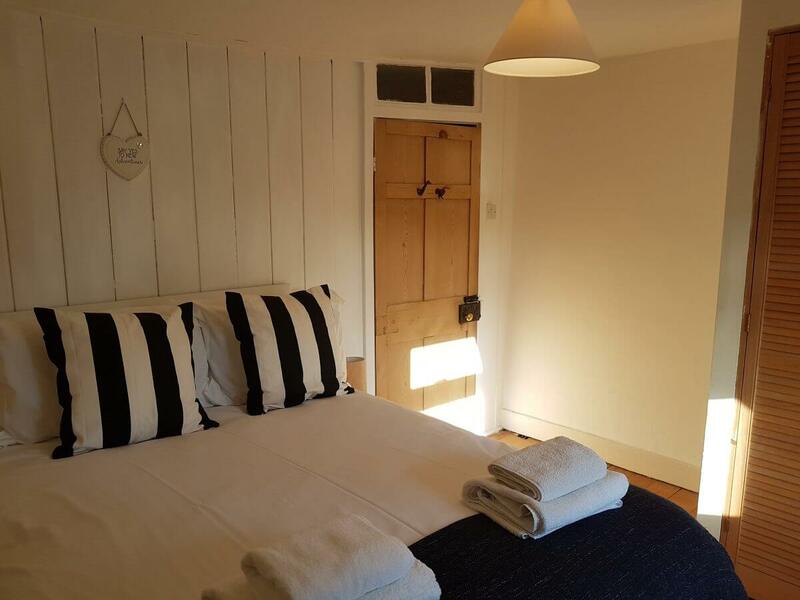 Dating from the 16th century, the cottage has many period features but all the modern conveniences you might expect, plus some you might not, such as the most comfortable beds you will ever experience. 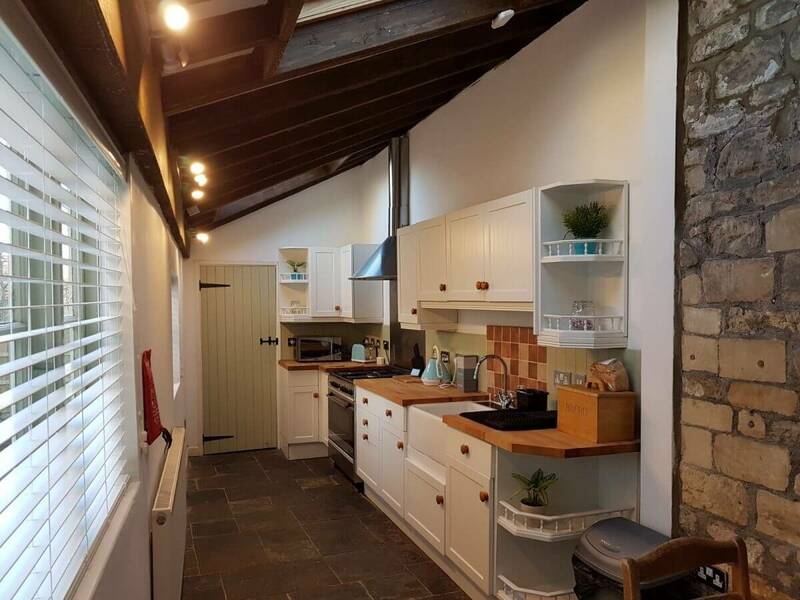 A modern kitchen, wet room and bathroom, plus a sunny conservatory & rear garden, plus a ‘step back in time’ dining room make this a special place to stay. 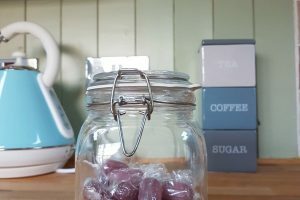 The Old Sweet Shop is one of the most interesting and historically important houses on the High Street in Batheaston. As its name suggests, it was once a place of business, originally two adjacent houses, the other being a haberdashers. 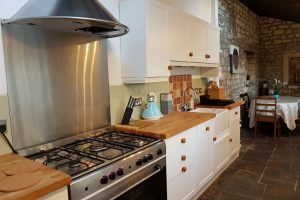 Many original period features dating from the 16th century still survive, but modern additions such as a recent kitchen, wet room, super fast broadband and fantastically comfortable beds, bring all the luxuries of the modern world. 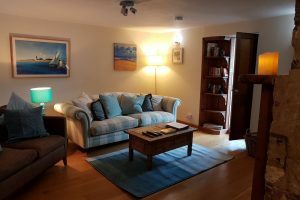 Downstairs, there is a generous size living room with wood burner supplementing the modern gas central heating, sunny conservatory and a separate dining room as well as the modern kitchen/diner. A utility area with AEG and Miele appliances, leads to the downstairs wet room with Mira shower. 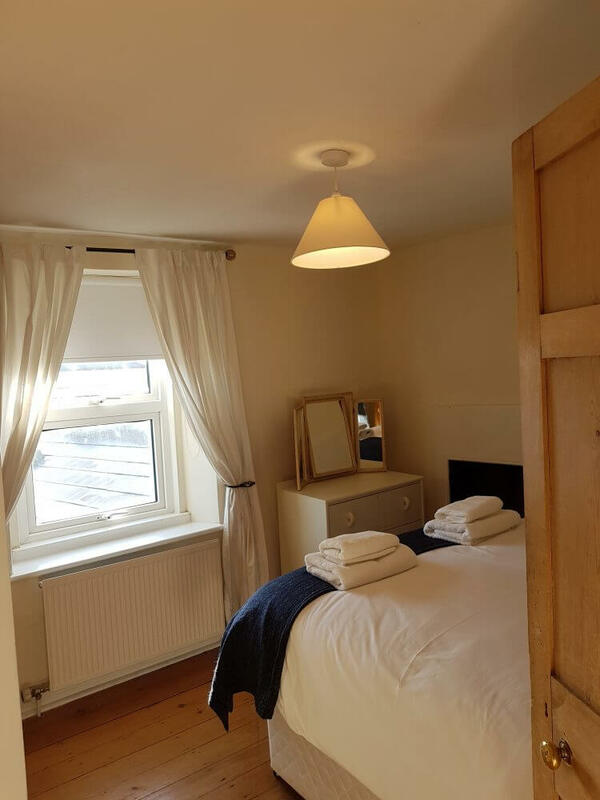 Three bedrooms upstairs, the rear ones with views of the surrounding countryside, also have a shared bathroom with shower over the bath. Outside, there is a sunny patio area and small lawn with a barbeque area. Batheaston is just 10 minutes by bus from the centre of Bath. The bus stop is about 30 seconds walk. 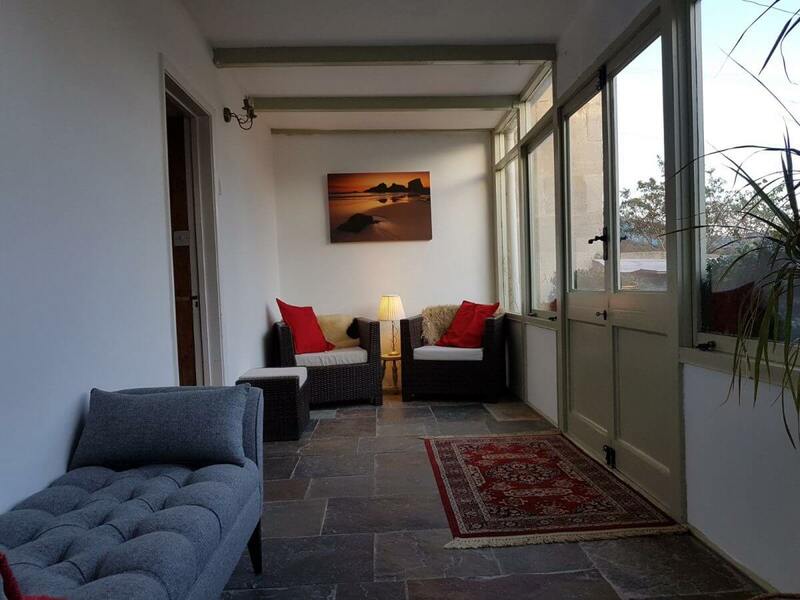 You may park right outside the house on the high street (time limited) or in our secure parking space in our courtyard, just around the corner, where our other self catering properties are located. 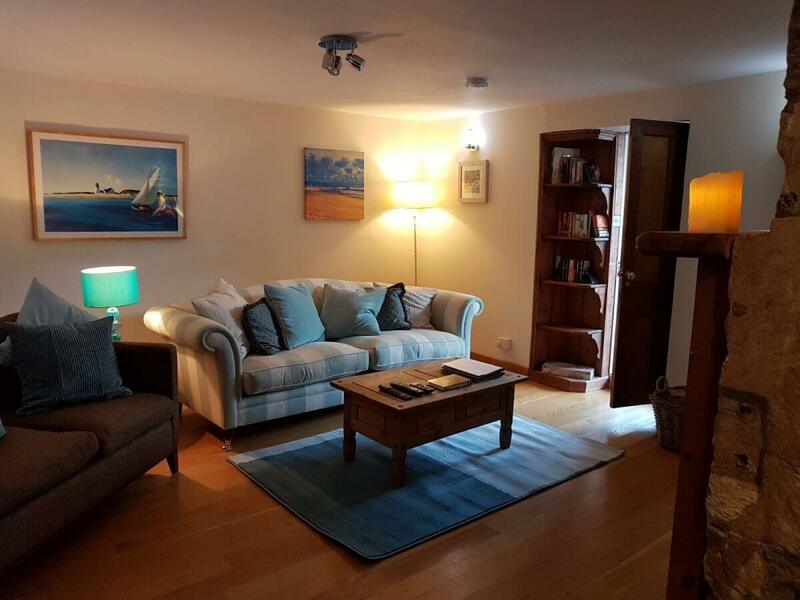 In total we can accommodate groups of up to 23 and the garden of Mulsanne House can be accessed when both properties are rented together. 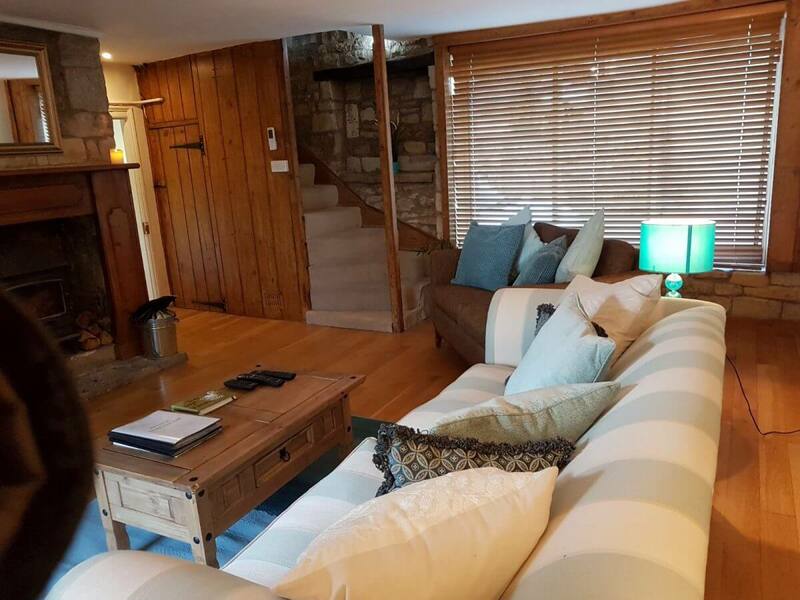 Sleeps: This holiday let sleeps up to five guests over three bedrooms. 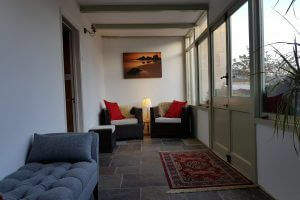 Bedrooms: Upstairs there are three bedrooms comprising two doubles and one single. All have special 1500 pocket sprung mattresses with memory foam offering the best nights sleep you will ever experience in a holiday let. Bathrooms: The upstairs bathroom consists of a toilet, basin and shower over the bath. 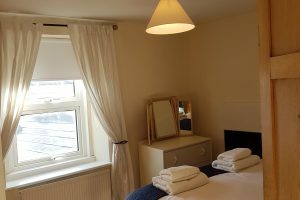 Downstairs there is a recently refurbished wet room with Mira shower, toilet and hand basin. 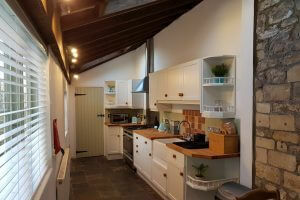 Kitchen: Modern 'shaker style' kitchen with dining table, gas oven and slate floor. 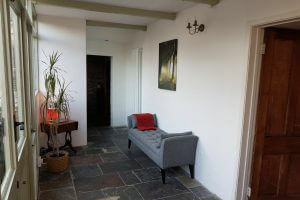 Outside: At the rear of the house there is a sunny garden with patio, garden furniture, small lawn and a barbecue area. All securely fenced/walled. General Points: Minimum two nights stay, starting and finishing on any day. Check in from 4pm latest, earlier if the property is ready. Check out by 10.30am. Parking: On street parking is available at the front of the property. Secure parking can also be provided in our courtyard around the corner. Smoking: No smoking is allowed on the premises. You may smoke in the garden if all your debris is cleared up after you. Children: Children are welcome. A cot and high chair can be provided on request. 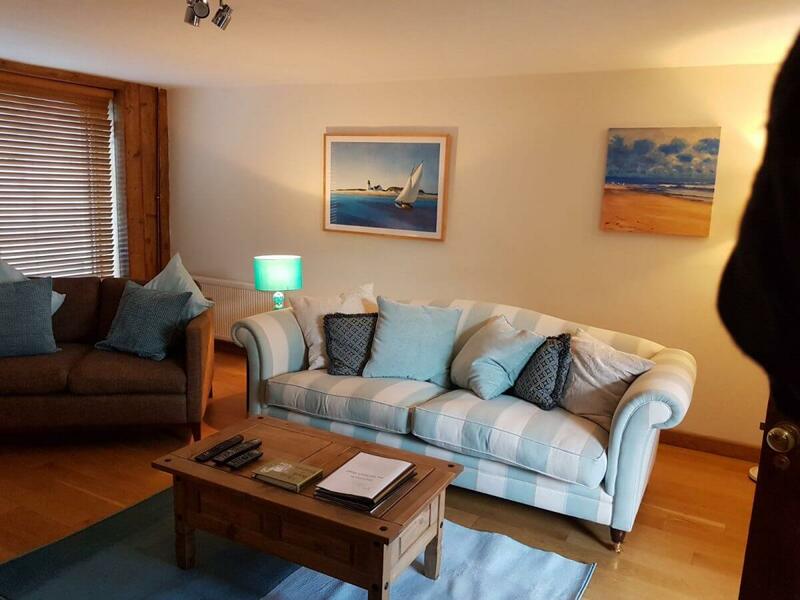 Pets: Up to two, well behaved, pets are welcome for an additional £10 per night. Train Station: Bath - approx 2 miles. Bus route runs from the road outside. Airport: Bristol - approx 40 minutes drive. Food Stores: Small supermarket etc, 5 minutes walk. Newsagents selling basics is just one minute away. Local Pub/Restaurant: One of the nicest pubs in the area, by the river Avon, is about 10 minutes walk. There is also a traditional pub serving good food in Batheaston High Street. 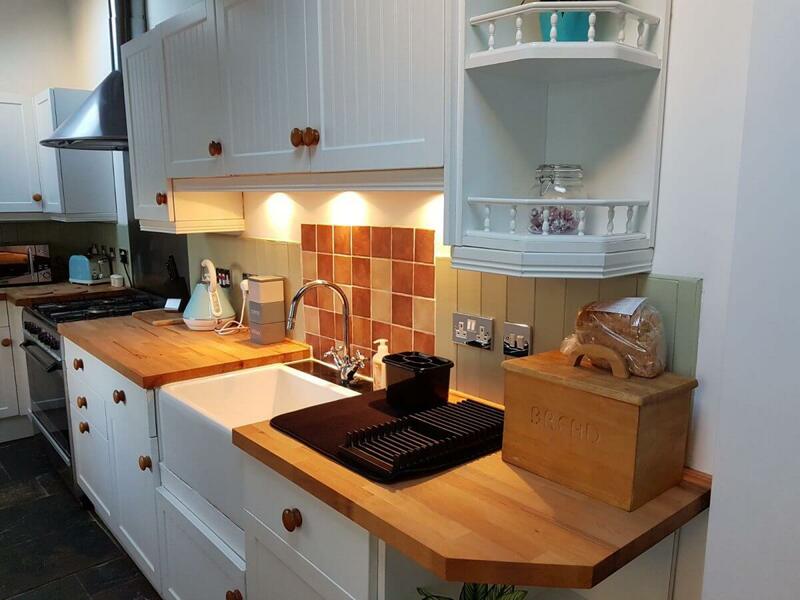 Batheaston provides easy access to all the delights of the city of Bath but is a destination in its own right. 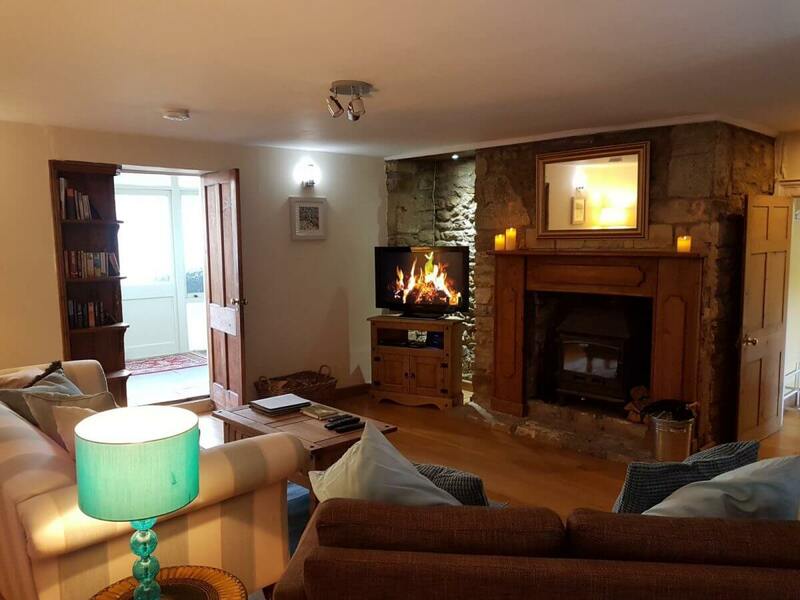 Situated at the foot of Solsbury Hill, made famous by local resident Peter Gabriel, the village nestles at the end of the Cotswold Way. As well as walking on Solsbury, you also have the Batheaston Commons. The river Avon is an important part of Batheaston and perhaps the most popular thing our guests do is take one of the boats from the Bathampton Mill into the city. The Mill is only ten minutes walk from us and the trip is beautiful, allowing you to see Bath from a different perspective. 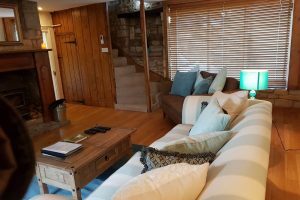 You may also fish, take a boat ride or enjoy a waterside drink and a bite to eat there. It’s one of the most popular pubs in the area and within ten minutes walk of our holiday accommodation. A little further on, but still easily walkable, is the Kennet and Avon canal, with its immensely popular ‘George‘ public house, right by the water. You can also take a walk up to Brown’s Folly or the ‘pepperpot’ on the edge of Bathford, where much of Bath’s famous stone was once quarried. One of the UK’s best wild swimming sites, Claverton Weir, is within cycling distance. Take a cycle ride into Bath or out towards Bradford On Avon, stopping in some great pubs along the way. Or wander up into St Catherine’s, a valley so beautiful, Jane Seymour made it her home and welcomed the likes of Robbie Williams and other celebrities. Castle Combe, possibly England’s prettiest village (check out the motor racing circuit too!) ia 15 minutes drive as is Lacock, a National Trust owned historic village. Lacock Abbey is where photography was invented and some of Harry Potter filmed. 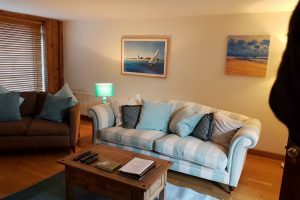 Post office, cafe, pubs, traditional English fish and chip shop, mini supermarket, chemist, newsagent and hairdresser can all be found in the village, just a few minutes walk from our holiday accommodation. 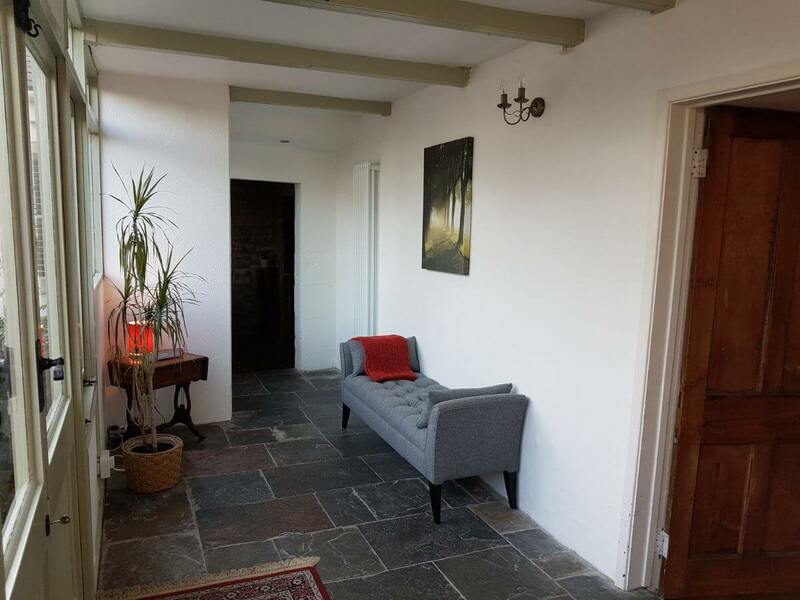 Batheaston’s latest addition is the superb Gather cafe, just a few yards walk from our houses. There is also a bridge across the river Avon near the shops in Batheaston to a riverside path which takes you all the way into Bath. It makes for a fabulous walk or cycle ride. Alternatively, just stay in and make the most of the property. We can recommend delicious pre prepared meal options for any of our properties, as well as cocktail evenings and even your own Karaoke. Please ask for details. £15 added to all bookings as a premium against damage up to £100. If you are 2 people booking, then the price is based on you sharing one bedroom. 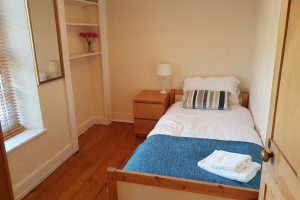 To have use of both bedrooms is an extra £40, to cover additional cleaning and laundry.